The WMEA1030 series of AC/DC wall mount power supplies provides up to 30 watts of output power. All models have a single output and an input voltage range of 90~264VAC. This series is CEC compliant (optional), RoHS compliant, and has over voltage and short circuit protection. Models are available in United States (US), United Kingdom (UK), Europe (EU), and Australia (AUS) types. Notes: 1. 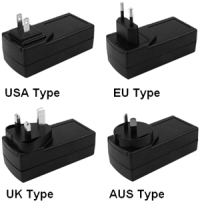 The “x” suffix can be U (USA Type), E (Europe Type), K (United Kingdom Type), A (Australia Type), or C (China Type). 2. 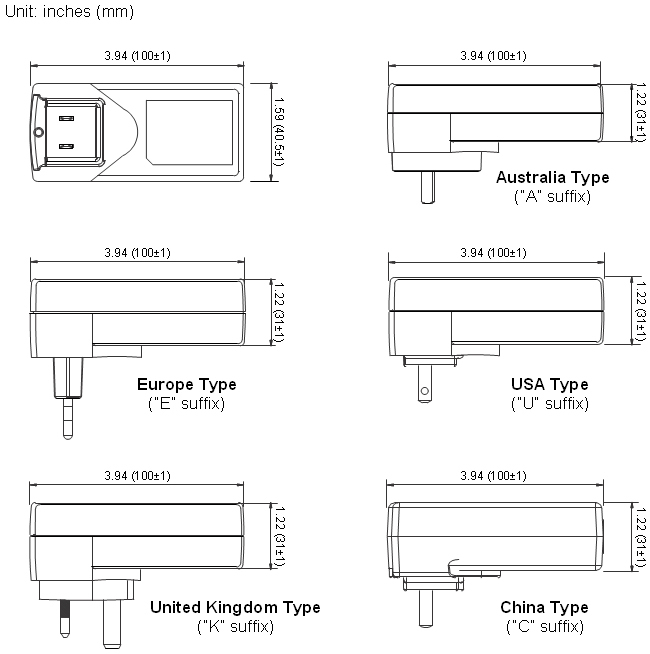 The output voltage is specified as a range (Ex: 21~35 VDC); the customer must specify what they want the voltage set at. Please contact factory for ordering details.